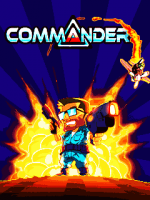 Commander lets you go through the shooting extravaganza as a part of military operation. Aim right and be safe as the enemies may shoot you from anywhere. Take down the enemy force with your wit and skill.